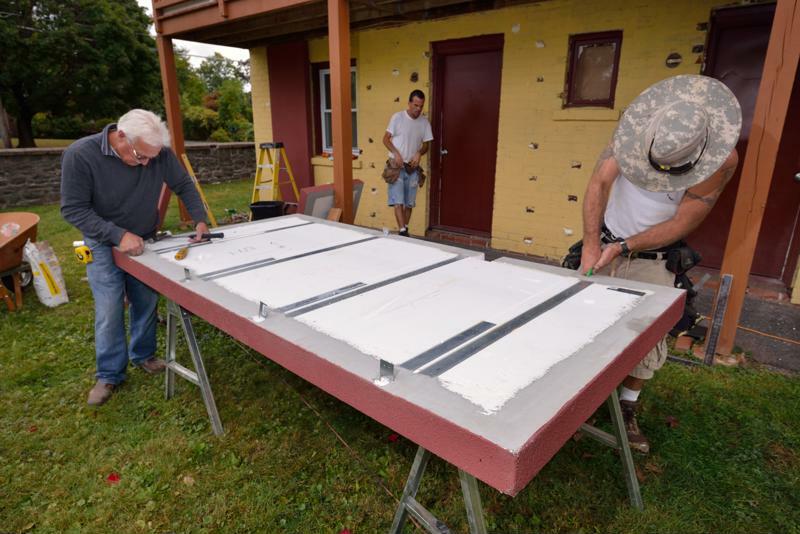 In Saugerties, New York, two apartment buildings on Burt Street received deep energy retrofits featuring high-efficiency, prefabricated building panels. The New York State Energy Research and Development Authority tested the external insulation systems to determine how they curtail energy use, improve the air seal and impact the cost of the project. In the first of this three-part series, we will examine the NYSERDA's initial goal: measuring how these exterior wall panels reduce the cost of heating and cooling for these two apartments. "It is as through the building were covered in a plush, waterproof, airtight sweater." While time will tell how effective these wall panels will be in the long term, initial testing and resident testimony would suggest they have had a tangible impact on the apartments' energy use. These results have building owner Nevien Sidarous, AIA, optimistic and excited for the future. "What's appealing to me is the potential for increased energy efficiency, particularly the associated reduction in utilities costs, which we have to pay," Sidarous explained. "We are definitely looking at significant efficiency improvements when all is said and done." If these readings are indeed accurate, Sidarous and her tenants will have even more savings to look forward to. That's because the nature of these wall panels allows them to provide a high performance level over a lengthier span than typical exterior finishes and sidings. The construction team prepares wall panels for installation. The problem with many buildings' insulation is that it allows heat and conditioned air to escape through fissures and entry ways. Thermal bridging can occur in even robust and newly-installed insulation. When the material is nailed, bolted or stapled into place, heat travels through the metal to get in or out and undermine the insulation's effect. However, prefabricated wall panels featuring an expanded polystyrene core and coated with an external finish system eliminate thermal bridging by providing continuous insulation over the entire structure. In some wall sections, the cladding provides R-24 insulation. It is as though the building were covered in a plush, waterproof, airtight sweater – and an appealing one, to boot. The NYSERDA's Bob Carver noted how the wall panels provide above-average performance without ruining curb appeal. "There are all kinds of far-out designs that people have come up with for energy-efficient buildings, but will the average homeowner latch onto them? Many of them want something that looks like a traditional home," Carver said. "So the fact that we can do this retrofit and preserve or even improve the appearance of the building and make it look like it's any other apartment building – that's a huge plus for us." It will take more time to quantify exactly how much energy the Burt Street apartments will save, but all those involved in the project so far are confident the results will be beyond satisfactory. As a result, the tenants will enjoy a better quality of living for less cost – something few apartment complexes can offer. Through prefab wall panels, this project could pave the way for other apartments, residences, offices and more to achieve similar results.